Franz Viegener recently introduced its Buzz faucet available as a wall mount and widespread. The new widespread Buzz faucet features a well-defined base that leans back ever so slightly before it flares into a spout with a square escutcheon. The faucet also boasts distinctive rhomboid handles. The Buzz wall mount also features a sculptural spout, but with a slightly larger base and an extensive reach that is ideal for spacious basins and vessel sinks. 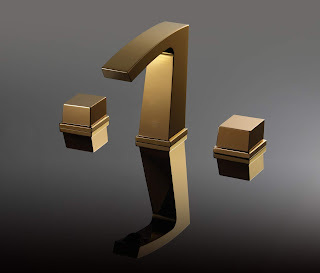 The faucets are available in polished nickel, polished chrome, brushed nickel, matte black chrome, rose gold, polished gold, brushed gold and flat black finishes. For information about this new product offering, sales sheets or a product line brochure, contact your local sales representative or John Weinstein at jweinstein@fvsa.com, or visit the website at www.franzviegener.com.